DO YOU WANT TO BE A BETTER SHOOTER? Here is your opportunity! “The SWI course provides outstanding training for the price. I couldn’t believe the amount of detail and personal attention that I received. The best bang for the buck in Northeast Ohio.” – James R.
Our owner and chief instructor has worked on his unique approach to firearms instruction for over 20 years. The Commence Fire staff has the ability to observe you as you shoot and make relevant suggestions that will dramatically improve you marksmanship. We take great pride in assisting shooters shoot better. Registration and payment information located at the bottom of this course page. While side by side with a Commence Fire Instructor the Basic Shoot with an Instructor Course allows you to ask questions, become more comfortable with your equipment, fine tune stance, grip, sight alignment, sight picture and trigger management. 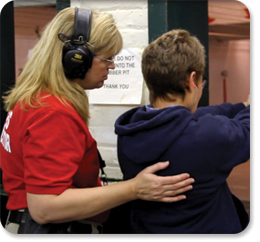 This type of firearms training is detailed, complex and uncommon among other firearm training facilities. At CFTA, our instructor to student ratio is the best you are going to find. Because of this, we can and do tailor your training to your specific needs! Pre-requisites: Firearms training course. 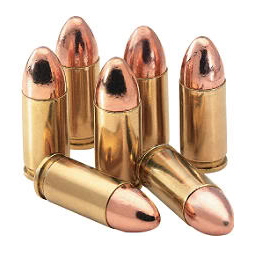 Due to the fact there is no classroom training we mandate proof of previous firearms training. This is for safety reasons. The previous the training does not have to be with us. Requirements: Handgun (Revolver or Semi-Automatic) only if you already own one. We have many available to rent. You can register for this course by clicking here. You will need to REGISTER as well as select your PAYMENT method below.